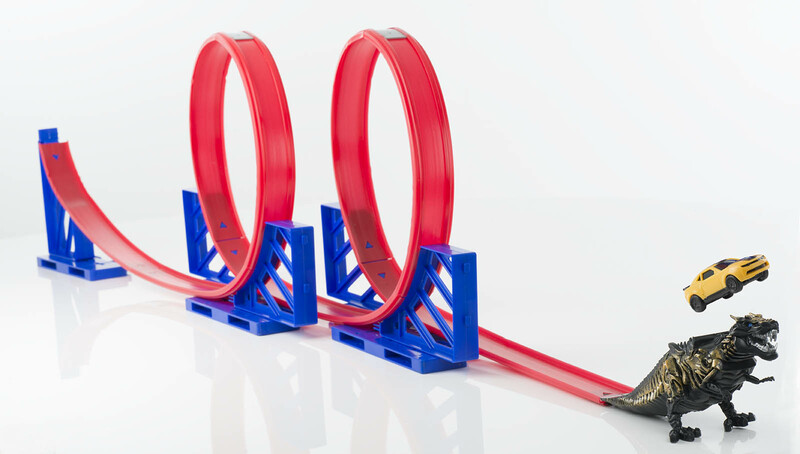 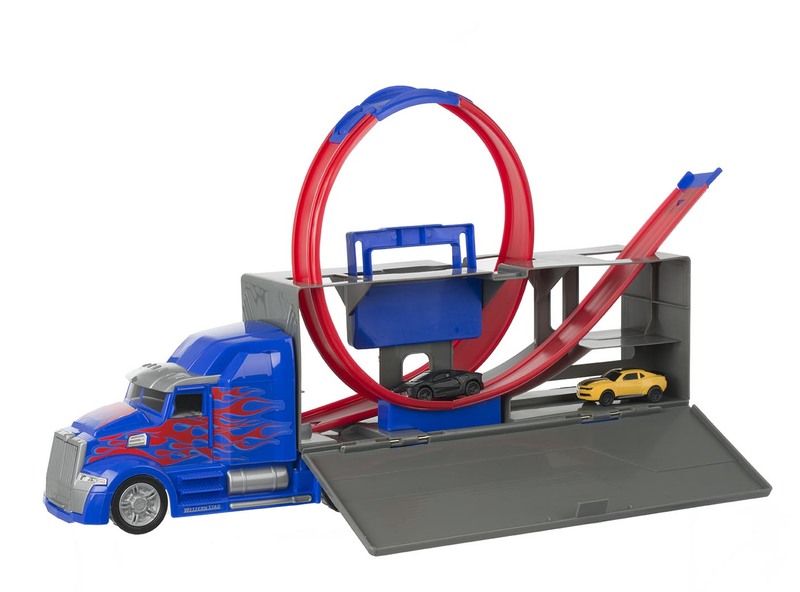 The second set is the fantastic Transformers Optimus Prime Challenge Car Track. 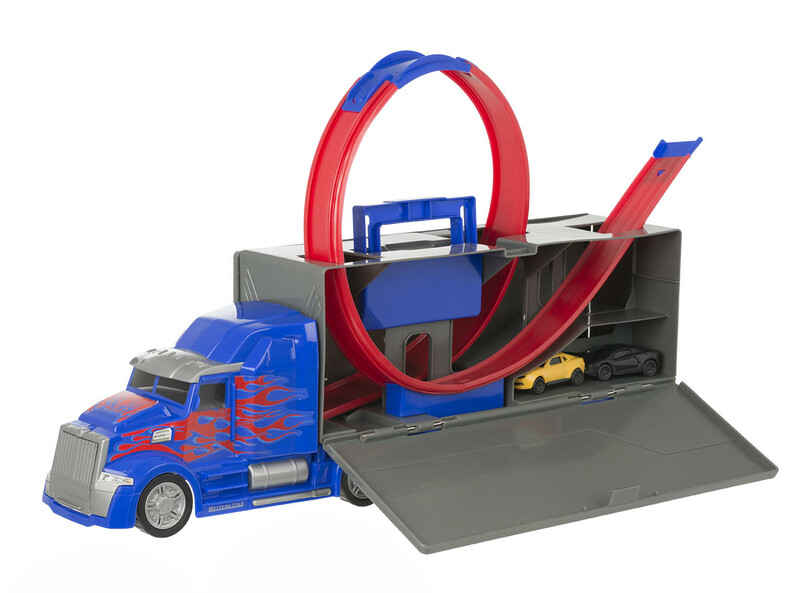 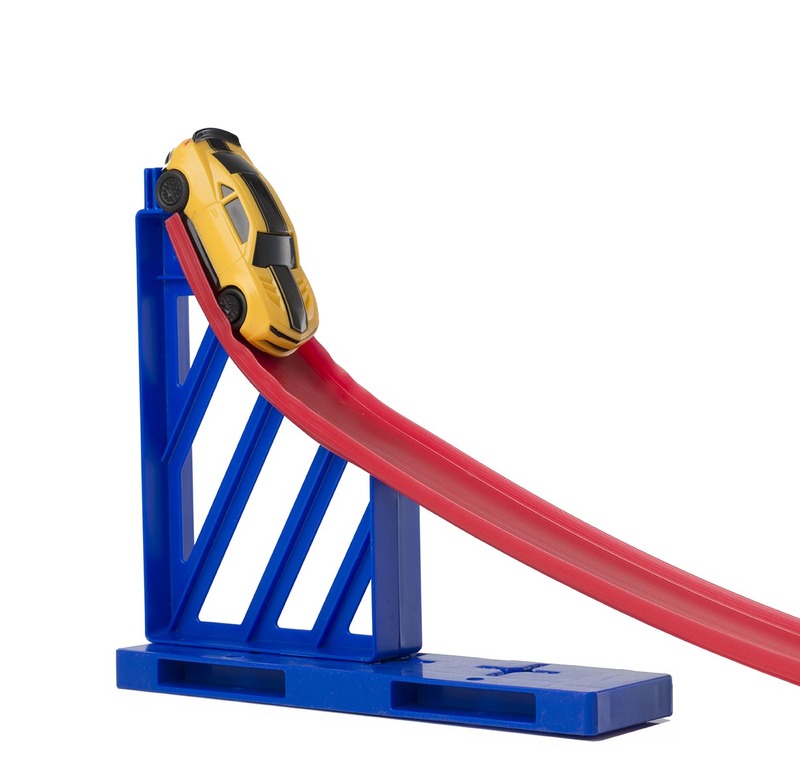 This jumbo boxed set features a car ramp concealed inside a Transformers Optimus Prime truck. 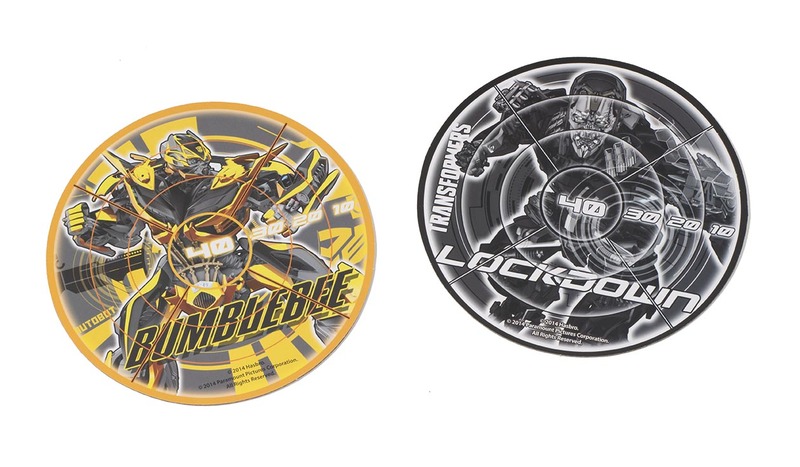 Two racing cars are included – Bumblebee and Lockdown – plus two identity discs.